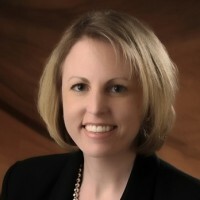 Cassie Meyer concentrates her practice on litigation and insurance coverage. Ms. Meyer has a diverse litigation practice, working with insureds and self-insured clients primarily in the areas of premises liability, auto liability, commercial liability, professional liability, liquor (dram shop) liability, and products liability. Ms. Meyer’s insurance coverage practice focuses on commercial lines as well as personal lines. She practices in the areas of first-party as well as third-party coverage and bad faith defense, including workers’ compensation bad faith defense. Among Ms. Meyer’s clients are insurance companies, individuals, retail businesses, restaurants, bars, transportation companies, and licensed professionals. Ms. Meyer has authored and presented numerous Continuing Legal Education seminars in the areas of litigation, insurance coverage and bad faith. Cassie Meyer and Nelson Mixon are the Co-authors of the Premises Tort Liability chapter.